Andrew Voss, has achieved more than just his childhood dream of becoming a rugby league commentator. Now referred to as a media veteran in rugby league circles, Andrew is a sport and news presenter, commentator, writer and author. For the past 26 years, he has worked across all forms of the media, creating, producing and presenting numerous shows for broadcast, with a proven track record of being self-motivated and creative. Andrew has worked as a sports reporter for Radio 2UE, covering swimming, cricket, athletics, surf lifesaving, rugby union, tennis and boxing. After joining The Nine Network in 1994, Andrew worked regularly as one of their top rugby league callers, as well as hosting The Sunday Roast, and co-hosting The Footy Show. Andrew Voss has covered various other sporting events, including the Sydney Olympic Games, Melbourne Commonwealth Games and the Vancouver Winter Olympic Games. He has released his own book, was an Australian Television Logie Award winner, and has appeared in the Australian film, Footy Legends. 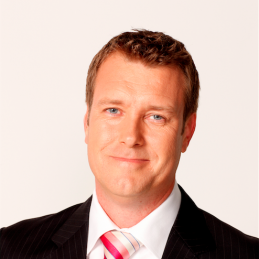 Andrew Voss currently presents for Sydney Radio 2ue, is a commentator for Sky Sports NZ and has recently been picked up by 2Day FM’s Kyle and Jackie O Show looking after The Sports Report every Friday covering the week’s sporting low down. He resides in Sydney with his wife Simone, and three sons.